Citation: Michael Ricketts. 2016. Soil bacterial community and functional shifts in response to altered snow pack in moist acidic tundra of Northern Alaska. Arctic Data Center. doi:10.18739/A2556Q. Highlight: This dataset makes use of the Arctic Data Center’s data provenance tool to show the relationships between different data inputs and the processing that lead author Michael P. Ricketts and his team used to perform their analysis. By doing this, Ricketts is ensuring that this research is reproducible by others. This dataset is part of a project that explores how soil bacteria act under deep snow cover. 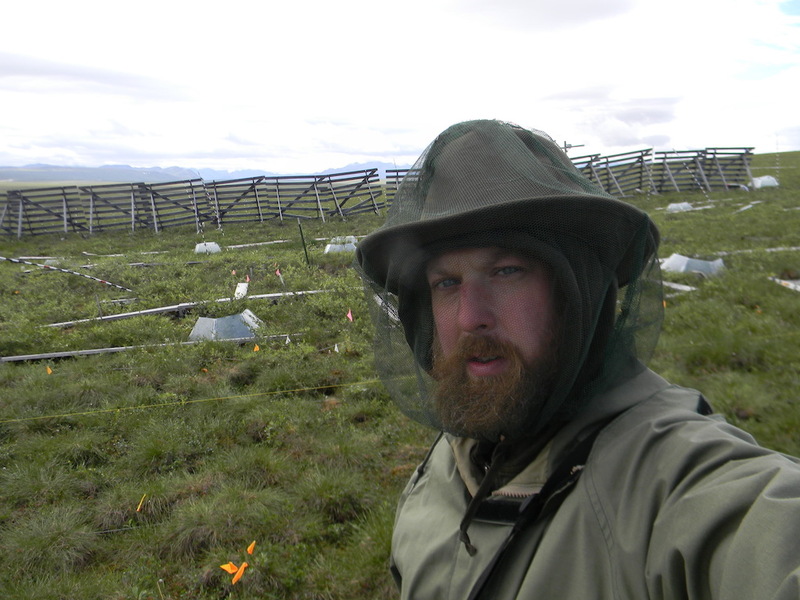 Lead author Michael P. Ricketts, a PhD student at University of Illinois – Chicago, and his team ask how bacterial communities in soil might respond to predicted increases in precipitation, and changes in other soil and environmental factors, as Arctic winters change. 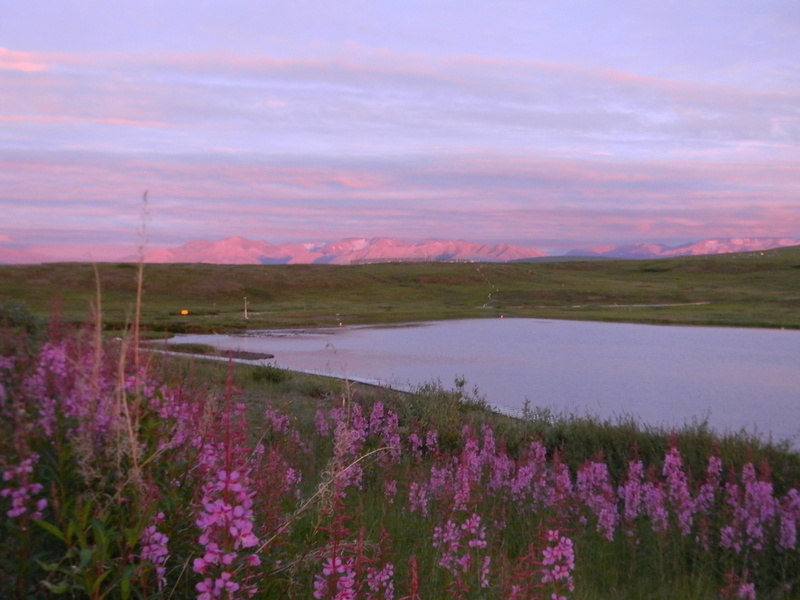 This dataset uses data collected at the Arctic Long-term Ecological Research (LTER) experimental snow fence site located in the tundra near Toolik Field Station. MR: We primarily use 16SrRNA amplicon sequencing data to determine differences in bacterial community structure between 3 pre-established snow depth treatment plots and one control plot. We used this data to estimate possible functional differences, using the software PICRUSt, to determine if soil organic matter decomposition genetic potential is different among treatments. 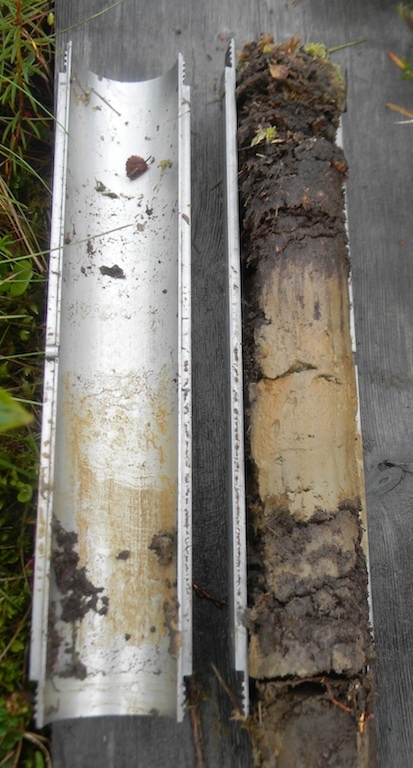 Environmental data (soil temperature, moisture and permafrost thaw depth) were collected at each soil coring location and soil samples were additionally used to measure pH, % carbon, % nitrogen, and C:N to explore what may be driving community differences. MR: Any soil microbial ecologist, ecosystem ecologist, ecosystem modeler, arctic researcher, biogeochemist, or anyone interested in untangling the complexity inherent in soil research. MR: We used some plant community data that was collected by collaborators, as well as some data available on the Toolik website, NSF Arctic Data Center, or in published literature. We also used some unpublished carbon stock data, soil respiration data, and net ecosystem exchange (NEE) measurements from our lab and collaborators to support proposed explanations and mechanisms. MR: See our manuscript. But in a nutshell our results indicate that bacterial communities shift and produce less organic matter-degrading enzymes under deeper snowpack. Explanations for this vary. What is one way your data is being applied to address issues in the Arctic? MR: Hopefully this research will bring awareness to the susceptibility of soil carbon stored in arctic permafrost as global temperatures rise and weather patterns shift. MR: More publicly available sequencing data from soil samples would be great! Especially shotgun metagenomic sequencing data. MR: There is still much unknown about long-term soil microbial dynamics in relation to ecosystem level responses to change, especially in a rapidly changing environments such as the Arctic. Long-term experiments such as these are important to help understand how communities respond over time. Increased temperatures may initially sharply increase soil microbial respiration (releasing carbon dioxide into the atmosphere), however over a 15-20 year timescale, these same soils may eventually become carbon dioxide sinks. Further long-term experiments are required! MR: Why, Toolik Field Station, of course.